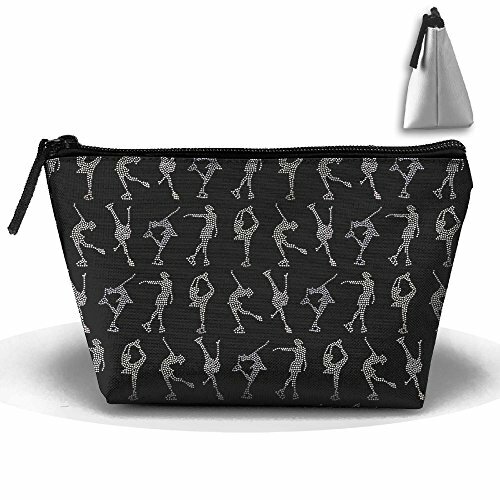 Ice Skating I Love Figure Skating Makeup Bag Is Waterproof And Durable, Well-protecting Your Cosmetic When Youâ€TMre On Business, Vacation Or To The Gym. Design With Zipper Closure Is Ideal For Carrier Travel. Multifunction Trapezoid Bags Made Of Durable 600D Oxford Material And Equips A Zippered Closure. Ice Skating I Love Figure Skating Trapezoid Makeup Toiletry Cosmetic Bag Carry Case. Perfect For Holding Cosmetics, Cell Phone, Cards, Pens, Keys, Purse, Make-up, Sunscreen, And Other Essential Items. Shipping Date: 7-18 Business Days By USPS. If you have any questions about this product by Mifafased, contact us by completing and submitting the form below. If you are looking for a specif part number, please include it with your message.